Send the website address of Books2Eat to book artists and cooks:April fool's day event comes back with taste every year! The International Edible Book Festival is a yearly event that takes place on April 1 throughout the world. This event unites bibliophiles, book artists and food lovers to celebrate the ingestion of culture and its fulfilling nourishment. Participants create edible books that are exhibited, documented then consumed. Who can participate in Books2Eat? Books2Eat can be celebrated with family, friends, colleagues and public anywhere. The only rule is to make edible art that has something to do with books as shapes and/or content. Each participating group or individual is responsible for its/his/her own audience and website. In previous years, the event was held throughout April, according various considerations. Tickets can be sold for the event; each venue can use the Books2Eat festival as a fundraiser for book centers and organizations. The artworks are consumed on the day of the event. Images of this world celebration are posted at www.Books2Eat.com. The documentation will be used for a potential (non-edible) book by Umbrella Editions in the future. 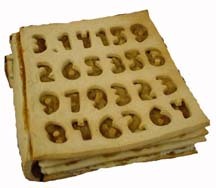 The Edible Book is a creation of Judith A. Hoffberg (1934 - January 16, 2009) and Béatrice Coron. 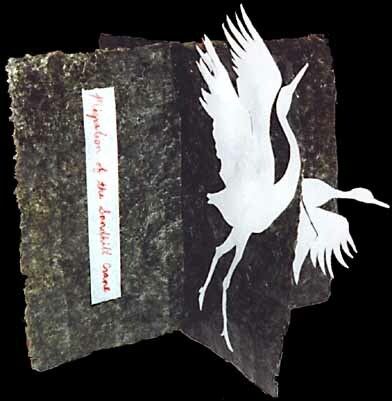 Judith got the idea over a Thanksgiving turkey with book artists in 1999, and Béatrice created Books2Eat website where despite the distances everyvody can enjoy worldwide's creations. They contacted friends and colleagues; their first event happened in 2000. Béatrice Coron managed the website until 2006. Why is Books2Eat on April 1st? April 1st is the birthday of French gastronome Jean-Anthelme Brillat-Savarin (1755-1826), famous for his book Physiologie du goût. April fools day is also the perfect day to eat your words and play with them.